Aspergillus oryzae is one of the ascomycetous fungus that asexual species. Its used in the production of soy sauce, miso and sake without recorded incidents for hundreds of years. There are conflicting opinions about whether A. oryzae can be isolated in nature. Although the details of the genetic relationship between A. oryzae and A. flavus remain unclear, the two species are so closely related that all strains of A. oryzae are regarded by some as natural variants of A. flavus modified through years of selection for fermenting of foods. A. oryzae is regarded as not being pathogenic for plants or animals, though there are a handful of reports of isolation of A. oryzae from patients. 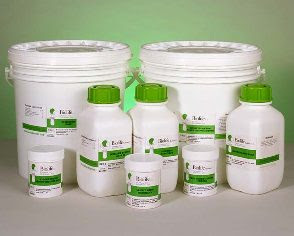 There are also several reports of products of A. oryzae fermentations, e.g. a-amylase, that seem to be associated with allergic responses in certain occupations with high exposure to those materials. A. oryzae can produce a variety of mycotoxins when fermentation is extended beyond the usual time needed for production of these foods. 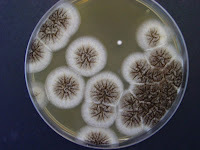 While wild A. flavus isolates readily produce aflatoxins and other mycotoxins, A. oryzae has not been shown to be capable of aflatoxin production. 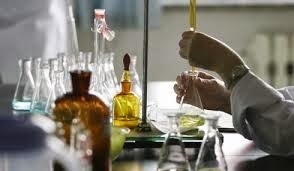 EPA has reviewed, under TSCA, two genetically modified strains of A. oryzae used for the production of enzymes (Premanufacture Notice (PMN) numbers P89-134 and P94-1475). 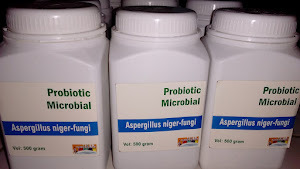 The candidate species is a member of the genus Aspergillus and belongs to the group of fungi that are generally considered to reproduce asexually (Fungi Imperfecti or Deuteromycetes), although perfect forms (forms that reproduce sexually) of some aspergilli have been found. The form genus Aspergillus represents a taxonomic grouping of a very large number of asexual fungi which are characterized by the production of spores on large black or brown conidia in phialides arranged on a characteristic spherical conidiophore termed the vesicle. This definition leads to inclusion of a complex assortment of organisms within the taxon. To simplify the taxonomy of such a large number of organisms, the genus Aspergillus has been divided into sections or groups based on color, size and roughness of the spore, conidiophore and vesicle as well as the arrangement of phialides and the presence of sclerotia. The separation of individual species into groups is somewhat tenuous and based on distinguishing measured characters with overlapping means. This resulted in the 132 species arranged in 18 groups by Raper and Fennell (1965) due to overlapping morphological or physiological characteristics. However, it is important to remember that taxonomy is "dealing with living variable organisms and that species and group concepts must be reasonably elastic" (Raper & Fennell, 1965). The morphological approach to taxonomy has led to the existence of several synonyms for the genus Aspergillus. They are: Alliospora Pim; Aspergillonsis Spegazzini; Cladaspergillus Ritg; Cladosparum Yuill and Yuill; Euaspergilus Ludwig; Gutturomyces Rivolta; Raperia Subramaniam and Grove; Sceptromyces Corda; Spermatoloncha Spegazzini; Sphaeromyces Montagne; Sterigmatocystis Cramer; and Stilbothamnium Hennings (Bennett, 1985b). Aspergilli are ubiquitous in nature. They are geographically widely distributed and have been observed in a broad range of habitats, because they can colonize a wide variety of substrates. A. oryzae is considered by some experts to be a domesticated variant of A. flavus (Kurtzman et al. 1986). Through long-time use, A. oryzae strains seem to have been selected to exhibit reduced sporulation, have more aerial mycelia and exhibit no environmental survival structures like sclerotia or the presence of aflatoxins that might function to inhibit grazing by insects. These morphological features that differentiate A. oryzae from A. flavus may represent adaptations to the artificial culture conditions of the koji fermentation. Misidentification of new isolates not obtained from well established cultures is always a possibility, since the key morphological differences between the two species seem related to culture adaptation. 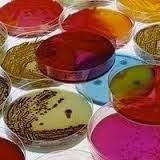 However, the source of A. oryzae strains for industrial fermentations today is likely to be standard culture collections. 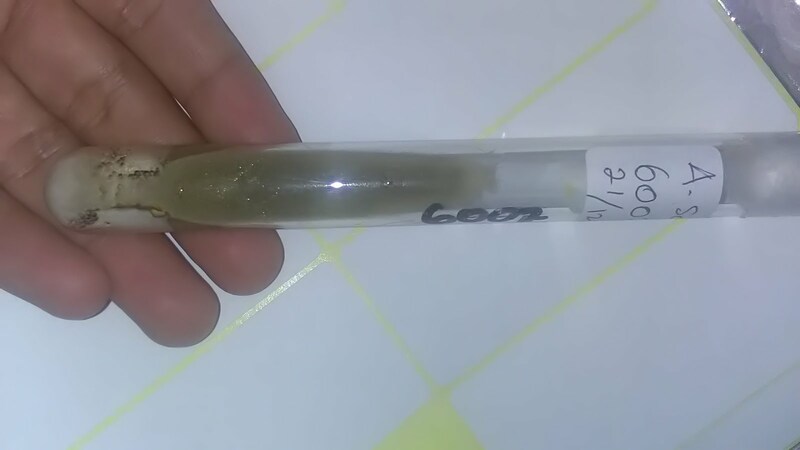 Environmental isolates of aspergilli would likely be identified as A. flavus rather than the laboratory-adapted A. oryzae. A. nomius is a newly classified species of toxigenic strains originally described in the A. flavus group, but not having the same level of DNA homology as shown among the four varieties mentioned above (Kurtzman et al., 1987). 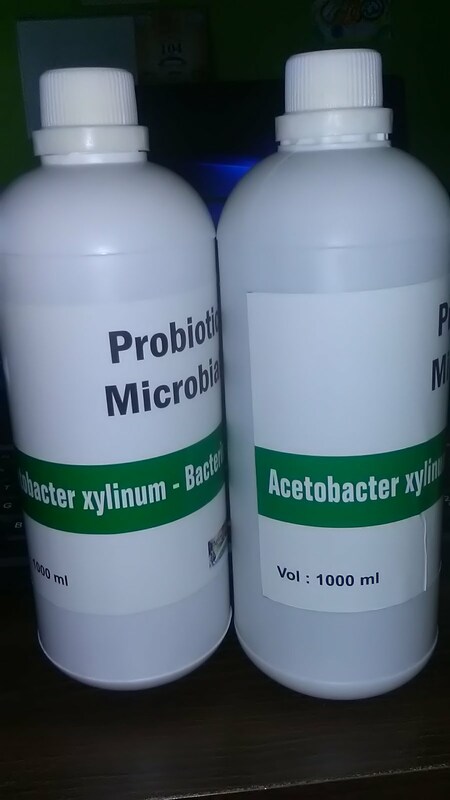 A. nomius produces aflatoxin and includes strains isolated from diseased bees. A. oryzae is distinguishable both morphologically and genetically from A. nomius. The close relationship between A. oryzae and A. flavus and the production of highly toxic mycotoxins by the latter has resulted in careful examination of the toxigenic potential of A. oryzae. However, A. oryzae, as a koji mold, has toxigenic potential in its own right. Those aspergilli used for manufacture of Japanese fermented foods have long been called koji molds. Prominent among the 25 koji molds listed is A. oryzae (Manabe et al., 1984). This fungus is used for sake, an alcoholic beverage, miso a soy bean paste, shoyu, soy sauce, amasake, a sweet beverage, and shouchu, a distilled liquor. A. flavus commonly colonizes damaged cereal grains, soybeans and peanuts, actively producing mycotoxins (Stoloff, 1982). Certain strains of A. oryzae have themselves been shown to produce the mycotoxins aspergillic, kojic, cyclopiazonic and B-nitropropionic acids and maltoryzine (Ciegler & Vesonder, 1987). Even with the food industry strains, a caveat of safety is that the fungal incubation not exceed the normal three day period. A. oryzae has been shown to produce toxic compounds under incubations longer than the typical koji fermentation(Semeniuk et al, 1971; Yokotsuka & Sasaki, 1986). The following are toxins produced by some strains of A. oryzae. Compounding this is the observation that A. oryzae and A. flavus are essentially indistinguishable by most molecular techniques. A. flavus is believed to be second in frequency only to the frank fungal pathogen, A. fumigatus, as a cause of aspergillosis in many species. A. flavus is associated specifically with invasive diseases of insects as well as toxicosis (Austwick, 1965). Recently, some insect pathogenic A.flavus strains were reclassified into A. nomius (Kurtzman et al., 1987). Whether A. oryzae is involved depends on how one defines the species of the A. flavus group. The effects on livestock of the various toxins that occur after extended koji fermentations, or in contaminated feed, show that the "minor" mycotoxins can still cause economic loss. No anecdotal accounts have been found that demonstrate that these potential effects occur in wildlife outside the agricultural environment. No reports of A. oryzae effects on living plants have been found. This species does not appear to be pose a hazard to plants.